Homeowners who are having trouble making their mortgage payments may be able to look to NACA mortgage help for assistance. NACA (Neighborhood Assistance Corporation of America) is a non-profit organization that is dedicated to building strong neighborhoods by helping low and moderate-income residents obtain the financing necessary to buy a home. Through the NACA, working people who have experienced poor credit issues have been able to arrange financing at better rates than they could have obtained through regular channels. Through its work, this organization has demonstrated that when working people are able to arrange affordable home financing, they can improve their financial issues and make their payments as agreed. NACA has demonstrated to standard lenders that high interest rates and fees are not necessary to compensate the lender for the level of risk that an applicant presents. Interest is charged at below market rates and an applicant does not need to have perfect credit to take advantage of this program. All NACA members get the same terms for their mortgage loans, no matter what their credit score happens to be. Rather than using the standard risk-focused formula that traditional lenders use, NACA members are evaluated based on their character. An applicant's individual circumstances are taken into account to determine what they can afford. The first step in getting NACA mortgage help is to attend a free workshop. There are several of these events held at each one of the NACA offices located nationwide each month. Attendees learn how the program works and get information about home ownership. After the workshop, prospective homeowners receive an e-mail with an identification number and a personalized fax cover sheet. The ID number is used for submitting information online and the fax cover sheet is used when the applicant submits documents to the NACA office. The applicant makes an appointment for a personal meeting with an NACA counselor. The services offered by NACA are free to members. There is a small fee charged for membership as well as a fee for each credit report needed for each application. The credit report and dues should be paid for prior to meeting with the counselor. At the meeting, the NACA counselor asks questions to help determine whether the applicant is ready to purchase a home and how much they can afford. Once he or she has been qualified, the next step is to attend a Purchase Workshop. At that point, information about identifying potential properties, the NACA credit approval process, and applying for a mortgage are covered. NACA can refer members to a Buyer Agent or NACA Referral Agent to help them find an affordable home in an area where they wish to live. 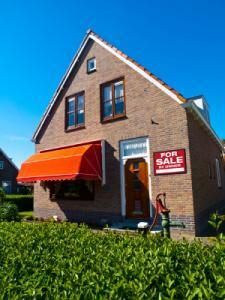 The agent prepares the Agreement of Purchase and Sale and negotiates pricing on behalf of the buyer. Once a member agrees to buy a home, his or her mortgage application is submitted to a participating lender for processing. The loan can be closed within five days of receipt. The NACA mortgage help program leads members through the process step-by-step. The organization helps people who may not otherwise be able to buy a home become homeowners.